Wigwam F2300 10E Grey Merino Lite Hiking Socks are like wearing hugs on your feet. The elastic cushioned insteps are snug and feel great as you’re walking. They’re made using a Merino wool blend. Merino wool is special because it feels so good – it’s the be ... (see full details) (see specifications) #1123567816. Wigwam F2300 10E Grey Merino Lite Hiking Socks are like wearing hugs on your feet. The elastic cushioned insteps are snug and feel great as you’re walking. They’re made using a Merino wool blend. Merino wool is special because it feels so good – it’s the best wool around. And it’s not the itchy kind of wool. The polyester and nylon keep the socks snug and supportive. 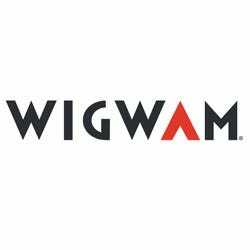 Wigwam F2300 10E Grey Merino Lite Hiking Socks are crew length. They’re perfect for wearing with hiking boots or sneakers. The seamless toe closure means no bumps rubbing on your toes as you hike. If you’ve ever worn your socks inside out because of that bump, you know what we mean. I am happy with my order, it was the first time I tried these socks. But ya see, they are really nice. Best I had, so thought I'd write and say so. Love the way they stay up and no bulky toe area. These socks sure do make a big difference in how my feet feel at the end of the day. You will just not believe how big the difference between socks can be until you try these. I agree, once I tried these socks I was hooked. And they last a long time. Soooo comfortable. I'm back ordering some more. Everything is good with this sock. I will buy them again. Wigwam Socks: Grey Merino Wool Hiking Socks F2300 10E is being added to your cart.